Of course, KEEN is also simply hugely rewarding and fun in your spare time! Find out more about the different roles within our team below, from the people who do them. Joining the team that makes KEEN rock is a fantastic opportunity. Build your CV, gain invaluable hands on experience with a wide range of people, or develop leadership and management skills. For info about joining our team yourself, click here! Our AMAZING coaCHES MAKE KEEN AN INSPIRING and fun PLACE TO BE. Without their support at our sessions, none of our activities would be possible! At sessions, coaches support our participants either one-to-one or in a small group, helping them to engage in all the activities, while having a lot of fun yourself, obviously. Coach doesn't carry any sporty connotations, it is the term we use at all of our sessions, and neither does being a coach require any particular experience or qualifications, simply lots of enthusiasm and a positive outlook! In fact, having an open mind and going with the flow can be a real advantage when getting to know KEEN for the first time. Our coaches come from a wide range of backgrounds. Around a third are students at the University of Oxford, a third students at Oxford Brookes, and the rest a mixture of Sixth Form students and people who live and work in Oxford. It's a great mix, and the social aspect, being able to meet lots of different (and very friendly!) people is one of the great things about KEEN. TO LEARN MORE ABOUT JOINING OUR TEAM YOURSELF, CLICK HERE! Our Session Coordinators lead each strand of our session programme, working closely alongside our Session Leaders and Session Coaches. Our most senior voluntary positions at sessions, Session Coordinators typically take charge for a calendar year, from January to December. If you are interested in applying to be one of our Session Coordinators starting in January 2019, please contact us at keen@keenoxford.org for a chat! I've volunteered at KEEN Teens for three terms now, two of which I've been the Teens Coordinator. I work with children and young people with special needs at home and was so happy to discover KEEN when I came to university. As a second year Fine Art student, I most enjoy running and organising creative workshops with the participants! I cannot wait for more KEEN as I go into my final year. As a second year law student at Oxford, I joined KEEN last year to do something fun and worthwhile and to be part of a fabulous and friendly community of volunteers. As Zig-Zag Coordinator I get to choose which incredible adventure we'll be going on each term, as well as which silly costume I'll be getting volunteers to wear! I love how each session is completely unpredictable and it's obvious how much of a good time the children and volunteers have had. I started volunteering with Keen in 2017 and instantly fell in love with the charity; as a full time Researcher at Oxford, Keen is a perfect relief from work. With a great range of sessions to suit all our athletes and volunteers, I have met wonderful people, gained invaluable skills and always have a blast whilst volunteering with Keen. I am very excited to be AllSorts coordinator this term, and can’t wait to get everyone moving and active! After popping up at all of our Sessions at one point or another last year, Sarah has been planning an epic year of GrEAT Sports for 2018-19. Sarah says hello herself on her Staff profile below, as she is also our Project Officer in the office as part of her work placement. 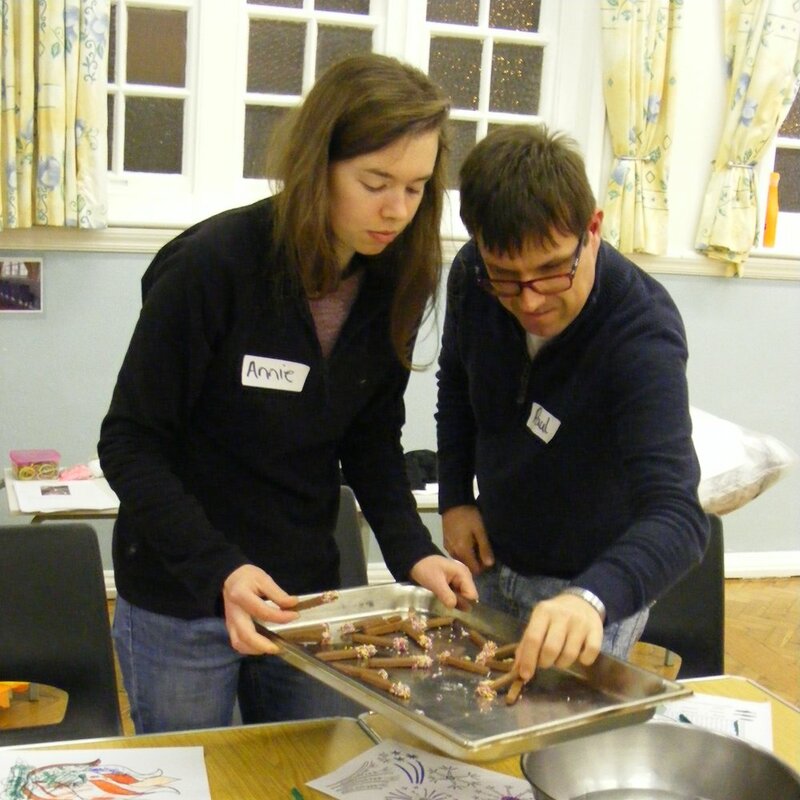 After Session Coordinating at GrEAT Social last year, Annie will be returning again which is fantastic news! Annie will be saying hi herself soon! It was during my second year as a medical student at Oxford that a friend invited me to the Natural History Museum to take part in a KEEN Teens session. I had no idea what to expect, but after an evening of crafting and fossil making I was hooked and so excited for the next week. Since then I have had so much fun with KEEN, and so when the opportunity arose to become KEEN Plus coordinator, I couldn’t resist. I am so excited for another year or adventure and laughter with KEEN, and hope we can make it the best year yet! The KEEN Committee is fundamental to what goes on at KEEN each term and year. As well as our Session Coordinators, the committee includes the key positions below. Committee members typically take charge for 2 consecutive KEEN terms. If you are interested in applying to be one of our committee members starting in 2019, please contact us at keen@keenoxford.org for a chat! Our committee is fully inclusive and we welcome applications from all participants. We are currently recruiting for two Fundraising Officers! Read the role description, get in touch, and/or apply online. We are currently recruiting for a Community Outreach Officer! Read the role description, get in touch, and/or apply online. We are currently recruiting for College and School Reps! 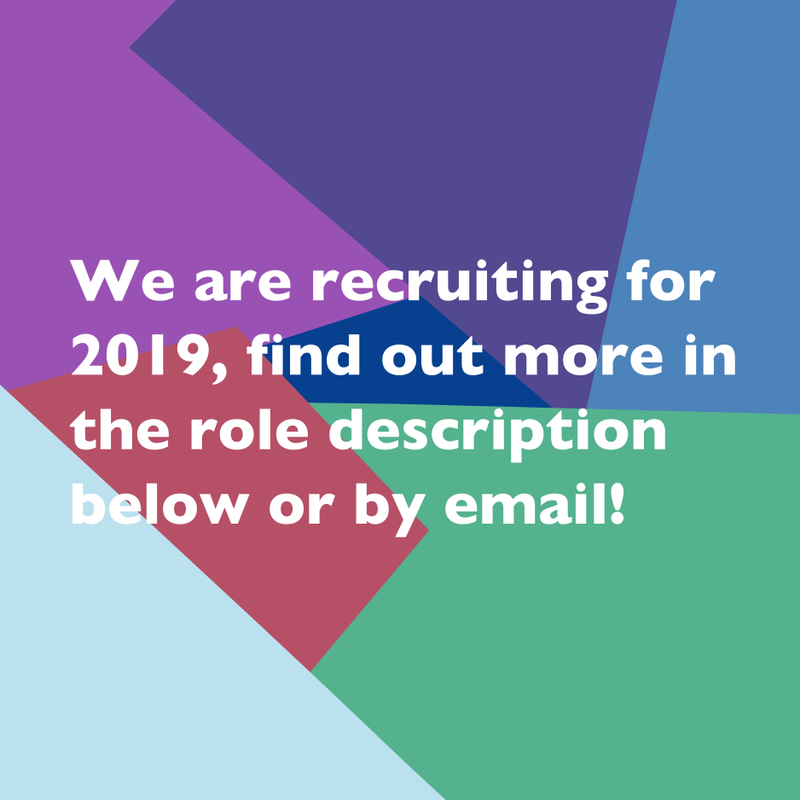 Read the role description, get in touch, and/or apply online. We are currently recruiting for a Socials and Events Officer! Read the role description, get in touch, and/or apply online. We are currently recruiting for a Gardening Coordinator! Read the role description, get in touch, and/or apply online. We are currently recruiting for two Inclusive Sports Champions! Read the role description, get in touch, and/or apply online. We are currently recruiting for an additional Community and Wellbeing Officer! Read the role description, get in touch, and/or apply online. We are currently recruiting for a Social Enterprise Coordinator! Read the role description, get in touch, and/or apply online. We support the KEEN community and all it's amazing people! Participants tell us what is important to them so that our programme of sessions and projects reflects this. We want our voluntary team to have the best experience possible with KEEN too. We also work with partners and supporters in the community and further afield, to ensure that KEEN has a successful future ahead! I'm constantly in awe of the enthusiasm, energy, and togetherness that defines the KEEN community here in Oxford. Whether we are on a fantastical adventure at Zig-Zag, laughing at KEEN Teens and GrEAT Social, or playing parachute games in the sunshine, KEEN has a profound impact on the lives of so many of our participants, whether the young people and adults at the heart of our work, or the Session Coaches and other team members that participate alongside and support them. It is truly a privilege to be involved in such a special community. 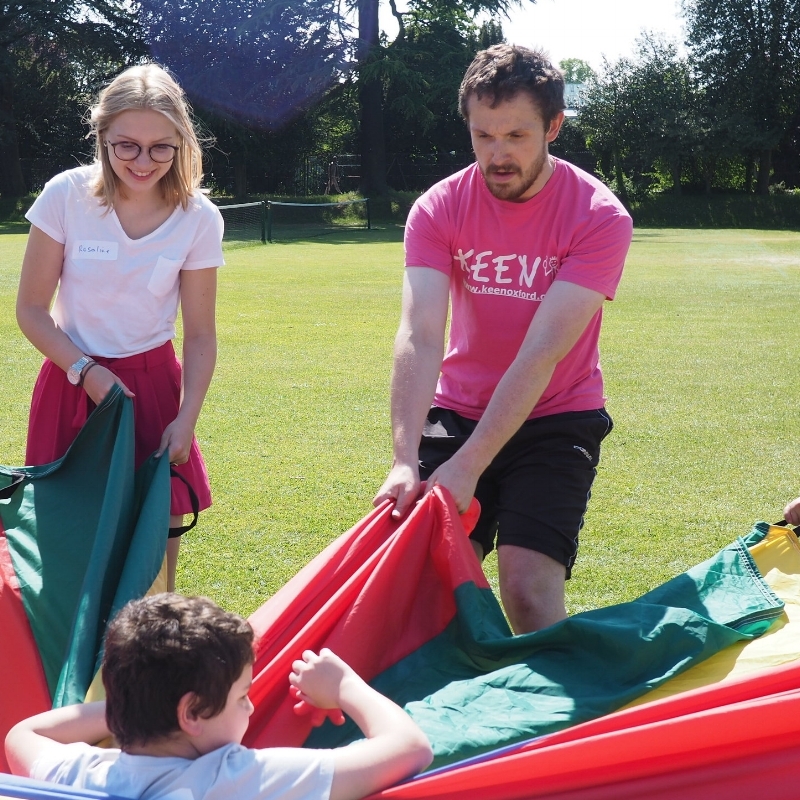 Having just recently joined KEEN as Programme Coordinator, I am so excited to get to know the KEEN family in Oxford and be a part of the amazing range of activities we have planned for the year. I’ll be a regular face at lots of the KEEN sessions, and also here to help Session Coaches and participants to get the most out of their experience at KEEN. I can’t wait to hopefully meet you soon! I began work experience with KEEN in January 2018 as a student at City of Oxford College, impressed by the work they've done for people with special needs. My first project was to help organise KEEN's 30th birthday celebrations which gave me a lot of responsibility. It was so much fun and a great day for all volunteers, participants and families. We had a live band, ceilidh dancing, food and games which everyone enjoyed - you'll have found me dancing around in our KEEN cookie monster costume! It was so lovely to see all the participants and families getting involved and I felt really proud to have been a part of it. KEEN is governed by our Board of Trustees, who bring a wealth of knowledge from a variety of sectors, including management, education, finance and law. We welcome enquiries from those interested in joining the board. If you are interested in applying to be a trustee of KEEN, please contact Jim, our chair of trustees at chairoftrustees@keenoxford.org for an informal chat. Jim's daughter, Rosie, is an enthusiastic KEEN participant. He recently completed 31 years of service in HMRC working on large corporates, and is enjoying building on the work of Paul Maryan, his predecessor, in developing KEEN activities in collaboration with our excellent team of trustees, staff and volunteers. Starting out as one of KEEN's first participants from 1988, Jo subsequently became a volunteer in 2004 and is now our most recent addition to the trustee board. Outside of KEEN, Jo enjoys kayaking and supporting a disabled friend in keeping active. Hugh has been a trustee for 7 years and found KEEN through his daughter who has Down syndrome and has been attending GREAT for almost 10 years. He is now retired having enjoyed a career in the financial industry. Sophie has been a KEEN trustee since November 2017, originally through the Young Trustees programme run by Oxford Hub. Originally from Boston, MA, she has just completed an MSc in Sociology at the University of Oxford, specialising in gender equality in the post-Soviet space. Currently the Deputy Head of Capital Projects for Oxford University and chair of the Oxford hub of the Chartered Institute of Building, Jennifer has 15+ years in construction project management. She has enjoyed active involvement in charities, both back home in Canada and in the UK, including Helen and Douglas House (UK), The Carpenter Hospice (Canada), and Habitat for Humanity. 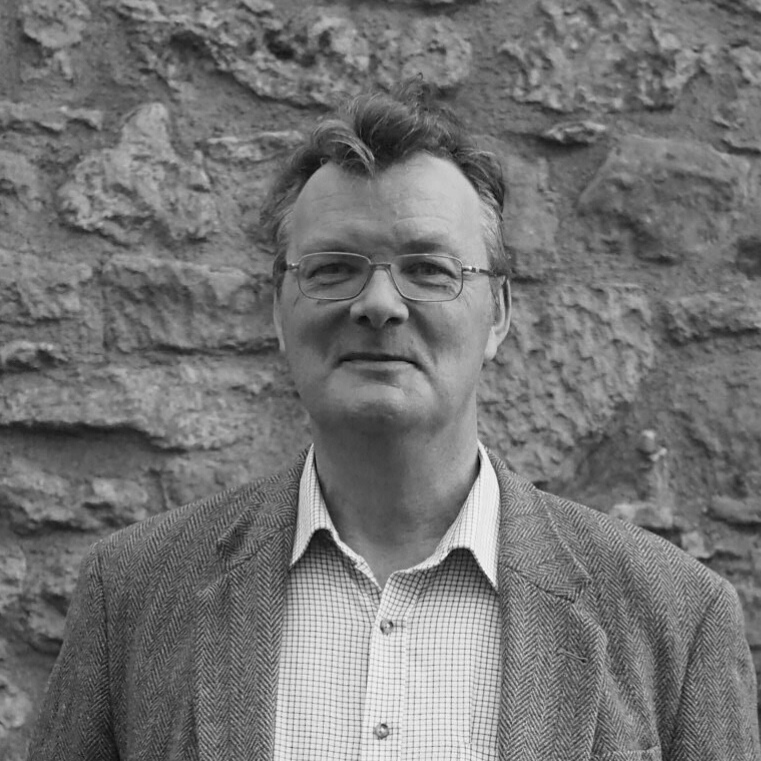 Paul has been a trustee with KEEN since 2009. Working in the leisure industry since 2004, he has 8 years of experience at the integrated sports centre OXSRAD. During his time there he has coached a variety of different activities and was chairman of Special Olympics Oxfordshire. Krzysia was involved with the tennis coaching group for children with learning disabilities from which KEEN sprung, and in the formation of KEEN itself. Having been chair of the trustees for many years she is now proud to be president of an organisation which through its inspiring volunteers has transformed, and continues to transform, the lives of her daughters Julia and Kate and hundreds like them. 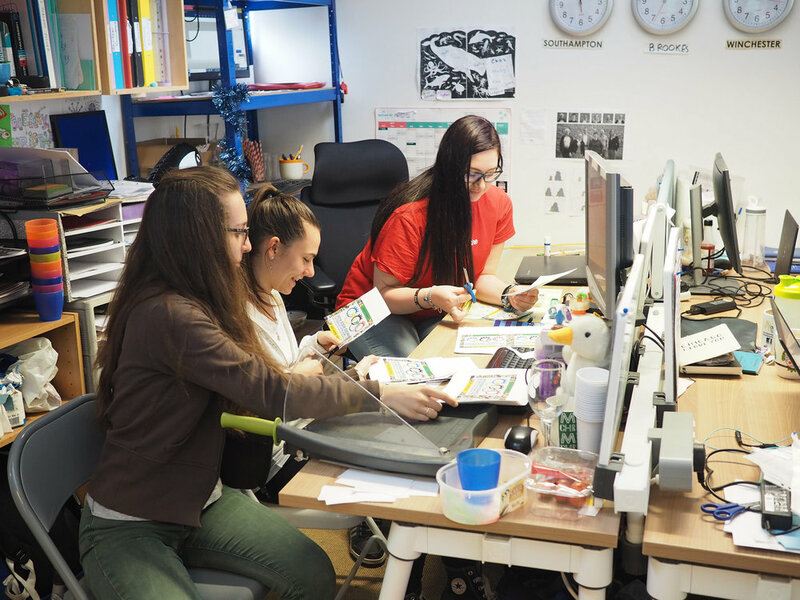 Take part in our challenging, hands on, and CV boosting Internship and Work Experience Programme for the 2018-19 year. We partner with the Oxford University Careers Service, Oxford Brookes, Oxford Hub, and local colleges and schools to offer a range of high quality placements. In addition, we run our own bespoke programme throughout the year. A typical placement is 30-40 hours in length, which might be fit into a 5 day working week or spread out over a longer period. Benefits to you include: Plenty of scope to develop new skills - Able to demonstrate you have taken on genuine responsibility - A detailed reference at the end of your placement - Lunch expenses included. Opportunities span a range of areas including marketing, fundraising, and strategic planning. If you are interested in applying to undertake a placement with us in 2018-19, please contact us at keen@keenoxford.org for a chat. Current placement opportunities at KEEN!